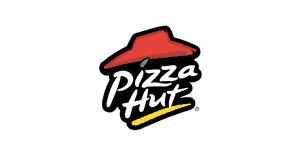 Through June 24th you can get a large 2 topping pizza for just $5.99 at PizzaHut via ordering online here. Walmart is offering the Little Tikes Cook With Me Kitchen for $41 with free shipping. Requires 3 AA batteries (not included). Walmart is offering the Ozark Trail Fishing Boat Bag (SA-058229-1; Black) for $12 with free in-store pickup or $6 shipping to home. Walmart is offering the MD Sports Easy Assembly 48″ Air Powered Hockey Table (AWH048_047M) for $10 with free in-store pickup or $6 shipping to home; free shipping on $35+. The legs fold for easy storage. Has an electronic score board and measures 48″ x 24″ x 30″. Walmart is offering the 80-Piece Hyper Tough Drilling/Driving Accessory Kit (4303) for $9.97 with free in-store pickup or $5.99 shipping; free 2-day shipping on $35+. Walmart is offering the Funko POP Animation: Rick & Morty – Rick Action Figure for $7.05 with free in-store pickup or free ship on $35+. Stands 3.75″ tall. Walmart is offering the 16-Piece Gibson Sensations Stainless Steel Flatware Set (black) for $4.78 with free pickup. Includes 4 each of knives, forks, small spoons, and large spoons. Walmart is offering the 2-Pack Lodge Pan Scraper Combo for $1.58 with free in-store pickup or $5.99 shipping; free shipping on $35 or more. Includes one red pan scraper and one black grill pan scraper. Walmart is offering the Shakespeare Ugly Stik GX2 Spinning Reel and Fishing Rod Combo (USSP662M/35CBO) for $28 with free in-store pickup or $6 shipping; free 2-day shipping on $35+. Walmart has the Fisher-Price Bob the Builder Build & Saw Toolbox (DGY48) for $9.99 with free in-store pickup or $5.99 shipping; free 2-day shipping on $35+. Walmart is offering the Apple Watch Series 1 38mm Aluminum Case Smart Watch with Sport Band, 1st Generation 2015 model (Space Gray/Black, MP022LL/A or Silver/White, MNNG2LL/A) for $149 with free shipping. Contains heart rate sensor, accelerometer, gyroscope, Wi-Fi, speaker and microphone. Walmart is offering a 4-pack of the Ozark Trail 12-Ounce Vacuum Insulated Can Cooler with Metal Gasket (83-463) for $12 with in-store pickup or $6 shipping. Walmart is offering the Skil Tri Driver Ratcheting Wrench (SKL013488) for $4.97 with free in-store pickup or $6 shipping; free 2-day shipping on $35+. Walmart is offering the Ozark Trail 6″ Fillet Knife for $1.75 with in-store pickup or $6 shipping. Walmart is offering the Motorola Moto E4 Prepaid 16GB 5.0″ Android 7.1 Smartphone (Verizon Wireless, Silver) bundled with a $30 Prepaid Refill Card for $49 with free shipping. Other bundles are available for more ($59 w/ $40 refill card, $69 w/ $50 refill, etc). Walmart is offering the Brahma Raid Steel Toe Men’s Work Boots (Brown) on sale for $15 with free in-store pickup or free 2-day shipping on $35+. Oil resistant and slip resistant boots have a TPR outsole and PU upper. Walmart is offering the 5-Shelf Open Standard Bookcase (beech with black) for $27 with free in-store pickup or free shipping on $35+. Lightweight bookcase holds up to 55 pounds per shelf and measures 26.25″ x 11″ x 57.5″. Walmart is offering the Marvel Spider-Man Men’s Fleece Sweater for $8 with free in-store pickup or $5.99 shipping; free 2-day shipping on $35+. Available in sizes S through XL. Walmart is offering the 8-Pack 1.75oz Buddy Fruits Tubes for $1.76 with free in-store pickup or $5.99 shipping; free 2-day shipping on $35+. Walmart has the Ozark Trail Back Care Chair (SW17017GRY) for $7.88 with free in-store pickup or $5.99 shipping to home. Regularly sells for $18. Made from polyester, has a steel frame and built-in cup holder. Walmart is offering the Eastsport 318120W0 13″ Gear Bag (black or grey) for $9.88 with free in-store pickup or $5.99 shipping; free 2-day shipping on $35+. Made of polyester, has two side mesh pockets, and interior tablet compartment. Walmart is offering the Holiday Time Christmas Outdoor Laser Light (red/green) for $11 with free in-store pickup or $6 shipping; free 2-day shipping on $35+.